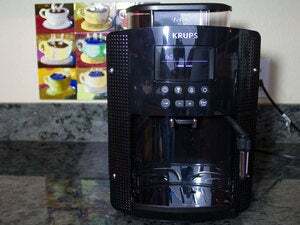 Yes, this one is as weird as it sounds: The engineer behind the We Make Things blog (known only as “rxdtxd”) took the drum out of an old washing machine and made it into a giant coffee roaster coffee roaster. 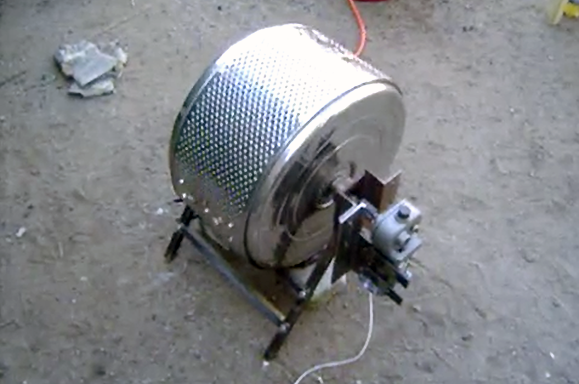 In addition to the drum, the project includes a propane gas stove, a motor, and a big pan to quickly cool the beans once they’ve finished roasting. The motor uses gears to turn the drum—which rests on four legs—over the gas stove; rxdtxd says that the holes in the drum give the beans the perfect roast. If something goes wrong with the motor, there’s a handle on one side to manually rotate the drum. Once they're roasted for the appropriate length of time, the beans go into the pan. It takes about an hour to roast 1.5kg (3.3 pounds) of beans over a low flame to roast coffee perfectly. This seems like a long time, but this machine doesn’t require much labor on your part, and you can roast in large bulk. While this project borders on crazy, there’s no denying that it’s a great use of old household goods. If you replicate it, though, be sure to use it outside because of the propane gas element, and make sure everything is working properly to ensure safety.